If you’re into cycling classes and exercising I’m sure you’ve heard of SoulCycle and Flywheel, right? Well there’s a new cycle class in town… Cycmode. 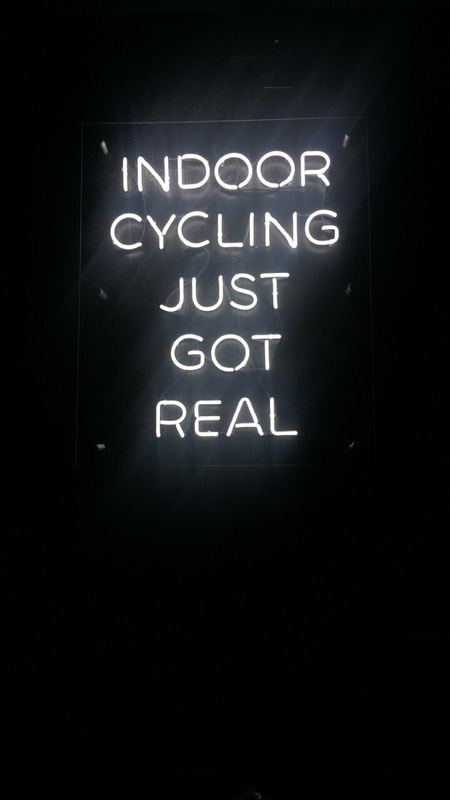 Where indoor cycling gets real! If you follow me on Instagram you’ve probably peeped my posts about Cycmode. Well I’m officially introducing you to the studio that combines tech and exercise, and also has my heart. Cycmode opened on July 29, 2017 when owner and founder, Tasha White, took a chance and left the corporate world (which she was in for 20 years) to pursue her passion for cycling. So you’re probably wondering how is Cycmode different than other cycling classes? I’m getting there…. Let’s start off with the bikes. The bikes at Cycmode have full range of motion, meaning when you move, the bike moves. Don’t worry you won’t fall off the bike (although I was a little nervous myself the first time). And if you’re really worried about falling off the instructor can make the bike be stationary. However, the full range of motion helps strengthen your core while you’re riding. Now usually when you go to a cycling class you ride and watch yourself in a mirror or stare at an instructor. BORING! Cycmode turns it up a notch and places you in front of a 40 foot wide IMAX screen, making the experience a virtual reality. Yes you read that right, a VIRTUAL REALITY CYCLING STUDIO. To date, some studios offer the moving bike, some studios offer virtual reality. But NO studio in the entire WORLD offers both a moving bike AND virtual reality… until CYCMODE. ​In the video (below) you will not only meet Tasha and hear her story, but you will get a glimpse of “The Trip”, a 40-minute multi-peak cycling workout with a journey through digitally-created worlds. During “The Trip” you will climb hills, turn sharp curves, and even jump through a few hoops before you end up back at “home”. You can find Cycmode at 1333 S Dearborn in the South Loop of Chicago. Also check out their Instagram to see behind the scenes videos, reviews, and much more. Tasha and her crew are amazing and so passionate about what they do. I highly recommend that you check out it out for yourself! Tell me in the comments, are you down to take “The Trip”?